Find out what really happened to your missing brother in this dark sci-fi thriller. A lone rescue beacon is activated on a remote island and gives you hope that your brother is still alive after his strange disappearance. Get ready to suit up and see what clues can lead to the truth! Explore an island where creatures are ready to pounce and danger lurks in every corner. 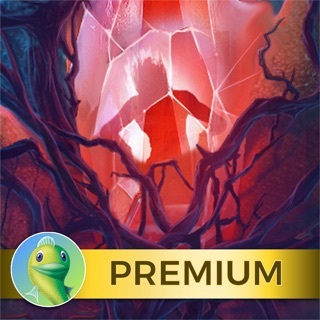 This terrifying hidden object quest will provide plenty of entertaining mini-games and an enthralling futuristic experience that will amaze you. Mad Head brings us a distinctly Eipix-like game. The mechanics are eerily similar to the Hidden Expedition series, such as close-ups opening and closing with gold bars, instead of zooming in. The morphs in HOs are a traditional Eipix feature, even the morph indicator is the same swirl as Eipix! PLEASE TELL ME EIPIX HAS NOT BOUGHT MAD HEAD! Ok, onto the game. The story is of course save the world from the villain, but it’s an intriguing take. Story really didn’t make a whole lot of sense, but it was well done. As mentioned, morphs in HOs, and Mad Head logos in every scene. The HOs were all list type, no innovation. Which is not like Mad Head. No problems with gameplay. Puzzles were better than most games; it actually took a bit of time to do a few of them. Yay! Game length was about average. You can go back and find collectibles you missed after the game is over, which is always nice. In the extras, there are jigsaw puzzles to do, and a treasure hunt. Once you complete the treasure hunt you get a large HO to play. There is also an “ultimate game” to play, which is the last mini game in the bonus chapter. It’s an arcade style game, and you try to keep from getting hit for as long as you can. I deducted half a star for lack of innovation, then another half bc of the Eipix-type play. This is not my review - However, I am suggesting fellow gamers contact Big Fish by e-mail and let them know how ridiculous and unfair it is not to given us a New Release Thursday just because of a redundant holiday sale. The more of an out cry about our feelings on this, I feel we will have a better chance of change. There is absolutely no good reason why we couldn’t have had a New Release and they can still have their sale. I will write my game review later when I am not so ticked off. We go through this every darn holiday and it is getting old! * On to the game review: Outstanding and Very Entertaining! Loved the storyline, character voiceovers, and the overall suspense that this developer provided. Surely, one to keep you on the edge of your seat. I had a Great time with it, only wish it had been longer. These games seem to fly by so quick - especially when we are given so few New Releases. Wish the olden days were here when the old Big Fish released a New Game Everyday! Highly recommend picking this one up. This developer has done a phenomenal job overall. The graphics, even the music set the tone and intensified the suspense! Happy 😃 Gaming Everyone and Have A Safe & Happy Labor Day! P.S. Maybe we will get Lucky 🍀 and get a New Release Sunday or Monday - but I am not holding my breath. I am still in the early stages but this one has it all so far--great graphics, lovely music, compelling plot and characters, and especially great puzzles, though I still miss Elephant's multilayered puzzles from the dark Carnival series! This one is a must have. Thanks BF and developers for two great ones in a row. I've been called away from gaming a bit so I'm behind in writing reviews but not in reading them. You folks are a delight. Happy sturgeon moon. lynx minx, thanks for the shout out! Sorry for being unclear. I was trying to urge all developers to give us more of Elephant's complex puzzles. I'd love to see a greater variety of puzzles-- those that take a few seconds to some that might take 30 minutes of head scratching. I greatly admire these narrative games that are able to appeal to such a wide and demanding audience. I suppose my greatest gripe lies in dated games marched out with all the authority of new, as well as those weeks with no new games. So far the new Artifex Mundi is worth the $$$, just as a heads up for those in search of an end of summer treat.